Our proprietary vacuum still, which is also used in our plants, is now available as a separate unit that can be quickly deployed at different locations. The DESTOMOBIL can be adapted to any cleaning or degreasing plant and is also suited for drum-to-drum operation. Designed as a thin-film evaporator, the DESTOMOBIL can theoretically reduce the residual solvent concentration in the oil sump to less than one per cent. Exactly how far solvent concentration can be reduced in any given case depends entirely on the oil dregs in the sump, which have to maintain a minimum degree of fluidity in order to be pumped out automatically into a used-product drum. The savings achievable with the DESTOMOBIL become clear in a comparison with the results of atmospheric distillation. That approach achieves a residual solvent concentration of about 50 per cent – in other words, one litre of solvent goes into the drum for every litre of oil removed! A full 200-litre drum thus contains about 100 litres of solvent. 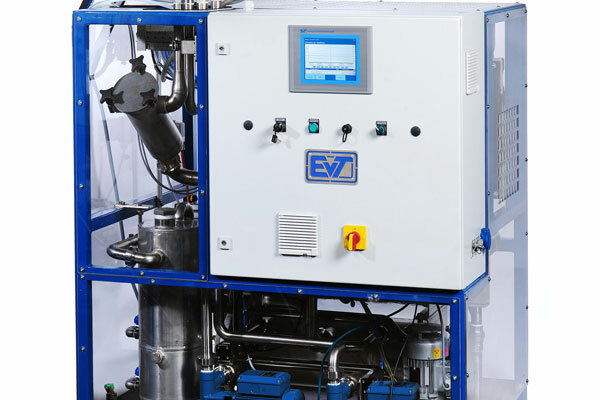 Vacuum distillation can potentially decrease the residual solvent concentration to less than one per cent, which means that a 200-litre drum will contain less than two litres of solvent. Since the contents of a drum with a residual solvent concentration of less than one per cent are no longer regarded as “used solvent”, disposal costs also drop considerably. In this case, contents are classed as “used oil” and can be sold to an oil dealer. The indirect heating of this vacuum still requires no maintenance whatsoever, and the entire system is air-cooled. The DESTOMOBIL is equipped with a touch screen panel for operating the SIEMENS programmable logic controller. High plant uptime is ensured by our online remote maintenance and diagnostics service, which we developed in collaboration with SIEMENS. From an iPhone or iPad, we can query data and change settings anywhere in the world to quickly and efficiently resolve both apparent and real malfunctions and problems. 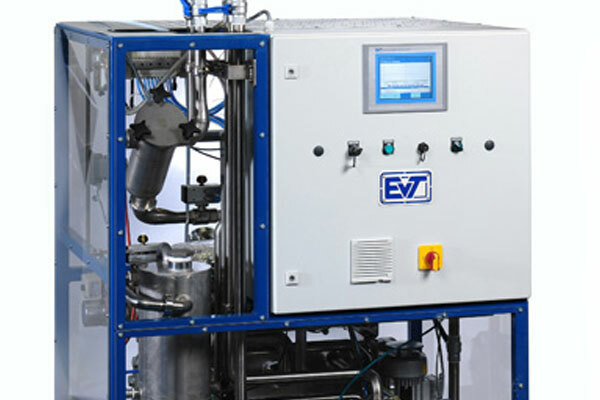 Should you require any assistance from EVT for modifying plant programs, we will support you online from our facility.